This comprehensive source book sets out over 1750 working drawings of garments, accessories and their details, which can be used for reference while designing. Each drawing, which may be a historical, classical, ethnic or inspirational example, is correctly named and fully described in the extensive glossary, thus providing the visual information that is lacking from fashion dictionaries. In addition, a range of useful fashion poses is provided for women, men and children (from birth to teenage) with instructions on how these may be developed by readers and used as templates for their own illustrations. All the illustrations are copyright-free, enabling readers to use and adapt as they wish. All the illustrations have been redrawn traditionally then subjected to contemporary computer graphics techniques with a view to clearly communicating shape and detail. As much ‘fabric representation’ as possible has been illustrated, on relevant garments, to give an authentic feel and a variety of complex patterns, prints and textures employed using computer graphics tools. 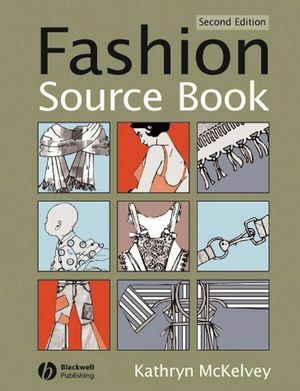 Kathryn McKelvey is a Reader in the School of Design at Northumbria University, in Newcastle, and the co-author, with Janine Munslow of Fashion Design and Illustrating Fashion.